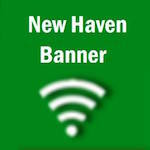 New Haven returns three starters, Rachel Steinhoff, Emily Kallmeyer, and Kierstin Monzyk. They will be adding sophomores Megan Shockley and Stephanie Gerling to their starting line up along with Kayla Meyer, who was unable to play last year due to a season-end back injury. Peirick commented on moving the sophomores up to the varsity level. “After losing both of our post players [Elise McDonald and Kayla Oetterer], we have very little size and that is one reason we decided to move Megan [Shockley]. New Haven’s offense begins with their guards and handling the ball. Teams will hound Steinhoff forcing Monzyk and Gerling to step up and relieve some of the pressure. Peirick did say he hopes to move Monzyk up top and Steinhoff to an off guard, which would allow them to run different plays to get her open. I think the biggest key to the Lady Shamrocks’ success is recognizing that teams will focus their defense on stopping Steinhoff, leaving others open. Hitting the 10 or 12 footers and finishing around the basket will make up for their size disadvantage. New Haven will play in the Montgomery County Tournament next week. They are seeded fifth and will play the number four seeded Mexico Bulldogs on Monday at 6 p.m.
Click here to access all basketball schedules and upcoming tournament brackets for boy high school and middle school.